Is Europe experiencing a clash of cultures? Especially cultures relating to time? It would explain why Germany appears unwilling to countenance short term measures that have unwelcome long term consequences. 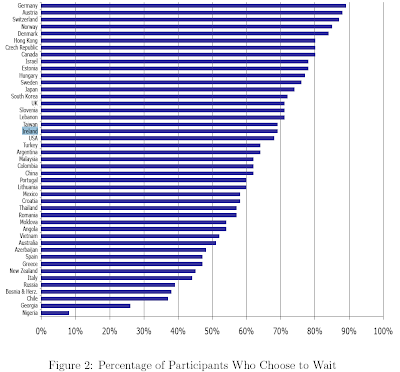 The chart is from a survey of students in 45 countries (yes, another 'Weird' study). Which off er would you prefer? B. a payment of $3800 next month? 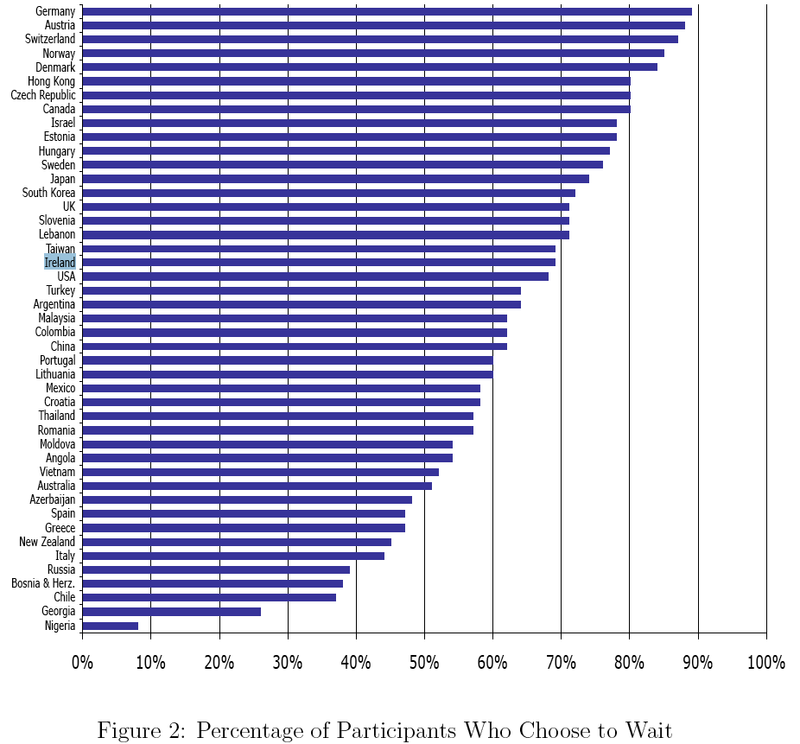 The chart shows the percentage in each country willing to wait one month. Guess which country comes tops? And guess which one comes, em, 19th? 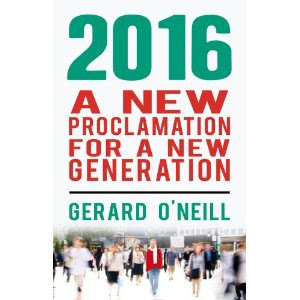 No wonder Enda was at cross purposes with Angela last week. He needs to start talking about how good things will be in five years time when we sort this all out: if we do the 'right thing' now. Rather than do the right thing now... in the hope that it will work out for the better.